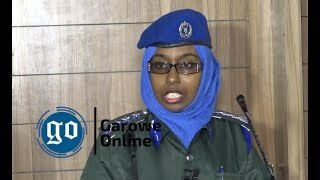 KISMAYO, Somalia Sept 1, 2014 (Garowe Online)-A high-level Turkish delegation has arrived in the southern port city of Kismayo on official visit on Monday as ongoing peace efforts continue to yield major breakthrough, Garowe Online reports. Turkish Cooperation and Coordination Agency (TIKA) and Turkish Red Crescent officials were received at Kismayo International airport by Jubaland's Minister for Internal Affairs Gen. Mohamed Warsame (Darwiish) and cheering crowds. Speaking to reporters in Kismayo, Ahmed Go’ar and Mustaf Yilmas said their chief aim is to launch development initiatives in Jubaland. 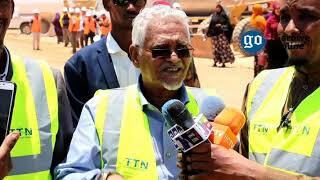 Jubaland Vice President Abdulkadir Haji Mohamed Luga Dhere was accompanying Turkish delegation on Kismayo trip. Turkish officials have been set to hold talks with President Ahmed Mohamed Islam (Madobe) at Jubaland Presidential palace in the coming hours. President Madobe previously called on international partners to invest in the newly formed Federal state of Jubaland. 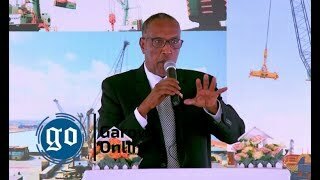 On August 20, United Arab Emirates (UAE) Ambassador to Somalia Mohamed Al Othman toured strategic Kismayo seaport. 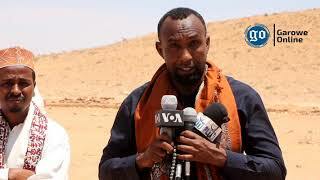 Former warlord and vocal opponent of Jubaland Col. Barre Adan Shire (Barre Hirale) agreed to join Jubaland peace process after lengthy mediation process. 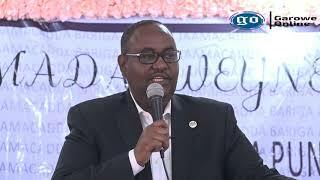 On September 15, the second phase of Jubaland reconciliation conference would kick off in Kismayo.